Corporate Secretary DKI Bank, Zulfarshah said, his side is ready to support digital banking in Jakarta, especially in Jakarta Pronvincial Government.
" DKI Bank is also implementing vehicle tax payment through cashless payment system"
One of DKI Bank supports to create digital banking is by providing cashless transaction through Jakarta One (JakOne) system, such as e-retribution, transaction distribution for subsidized food and transportation owned by Jakarta Pintar (KJP) cardholder. "DKI Bank is also implementing vehicle tax payment through cashless payment system and STNK digitalization by cooperating with Jakarta Provincial Government and Polda Metro Jaya through e-samsat, e-ticketing, e-parking, and others," he explained, Wednesday (5/30). He mentioned, cashless transaction is also implemented in Jakarta education sector where DKI Bank is participated to build Education Accountability Information System for School Operational and Education Operational Aid (SIAP BOS-BOP) with Cash Management System (CMS) basis called CMS–SIAP BOS BOP. 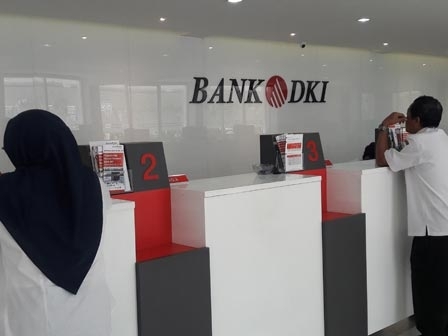 "DKI Bank also continues to support Jakarta growth in various sectors such as infrastructure, public service, education, UMKM and build synergy with other BUMDs," he stated.